Presented together for the first time, here are all-time favorite Car Talk calls that run happily off road, veering into the amazing world of science, where Tom and Ray actually wield some authority. MIT may want its diplomas back, but the world's most knowledgeable garage scientists are undeterred in seeking greater knowledge - and laughter. 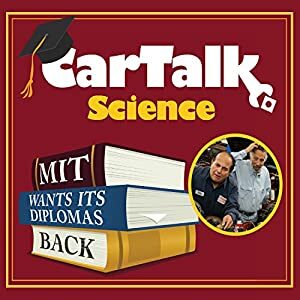 The hilarious online antics of Tom and Ray Magliozi return in a new audio, Car Talk Science – MIT Wants Its Diplomas Back. Before you ask, both brothers did indeed graduate from the Massachusetts Institute of Technology. I absolutely love the Magliozi Brothers’ shows every time I can catch them on NPR where they were known as “Click and Clack, the Tappet Brothers.” In this release, the Tappet Brothers hilariously debate multiple topics that callers have presented to them including how to make a Cub Scout’s Pinewood Derby car go faster and how not to transport a mattress. The body consists of three parts: the brainium, the borax and the abominable cavity. The brainium contains the brain. The borax contains the heart and lungs and the abominable cavity contains the bowels of which there are five: a, e, i, o, u.
I think it’s fabulous that excerpted highlights of their radio shows are becoming more available in audio form. This is a CD I wouldn’t hesitate to listen to again and again! My only complaint is that it is too short at just over an hour long. That said, Car Talk Science – MIT Wants Its Diplomas Back is a wonderfully entertaining laugh-a-minute listen perfect for an on-the-go-reality-escape or anytime you crave a laugh. 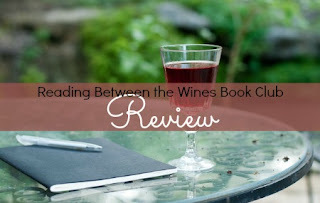 Sounds like the perfect book to listen to.